This is the story of the period in which Fidel Castro and his young comrades were imprisoned after the July 26, 1953 attack on the Moncada military garrison, and how the Batista dictatorship was forced to release them. 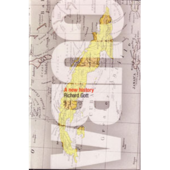 It includes many previously unpublished documents, such as Fidel Castro's letters from prison, as well as an extensive glossary and chronology. Mario Mencía is a journalist, essayist, associate professor at the University of Havana as well as being the author of several books on Cuban history. 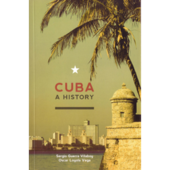 He is regarded as one of the most reputable historians of the 1952-1956 insurrection period of the Cuban revolution and has been described as “Cuba’s most serious historian”. 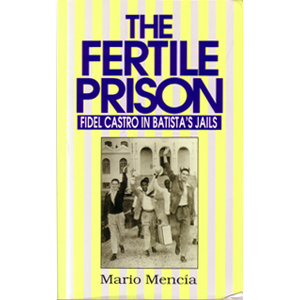 The Fertile Prison is the account of the period in which Fidel Castro and his young comrades, including two women, were imprisoned following the July 26, 1953 failed attack on the Moncada military garrison in Santiago de Cuba, and how the Batista dictatorship was eventually forced to release them. On that day in 1953, the Castro brothers and 165 other revolutionaries hoped that their attack on the army barracks would spark a popular uprising against the dictatorship. However, the raid, at least in military terms was a failure. Although a number of militants escaped, the majority were captured, summarily tortured and executed. The act of defiance though, by Fidel and his comrades, provided a focus for Cubans to begin to organise against the Batista regime. Mencía describes in his book how those captured managed to survive the brutal prison conditions by organising themselves collectively. The authorities in contrast, sought to isolate the prisoners. Fidel was placed in solitary confinement for over a year. The revolutionaries strove to make the most of their time in incarceration, organising their own diet, setting up their own school - the Abel Santamaría Academy - in order to raise their educational level and accumulating their own modest library. The prisoners also wrote countless letters, which Mencía uses to provide a history of the events inside and outside the prison during those years. These letters provide a remarkable insight into the political development of these Cubans and their principled stand against the dictatorship. For Castro, his time spent in prison provided an opportunity to develop his political knowledge and outlook. He read as much as he could on a diverse range of subjects. Although in solitary confinement, Fidel still managed to establish channels of communication between the other July 26 prisoners and the network of revolutionaries and supporters outside prison. Over time he managed to pass the text of his famous “History will absolve me” to Melba Hernandez and Haydée Santamaría through letters that included lemon juice writing or were written in code. The manuscript was then printed and distributed through clandestine methods by an ever expanding network of activists who used the pamphlet to organise and radicalise others.